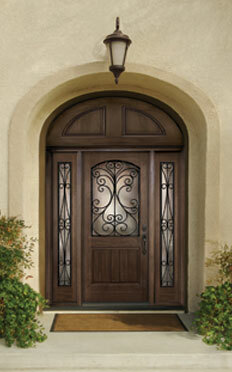 Please click here for a copy of our residential door catalog. Doors are intriguing... not only because of the threshold frequently crossed, establishing a rhythm to life, but because of the mystery of what lies within. The entrances of your home are the focal points of a home, and the home is the essence of our lives. If words could be urged from these silent sentries ... oh, the stories they would tell! Yet they stand, frozen in space and time, with a simple mission: To welcome, to beautify, to protect ... the threshold from one world into another. Create your own intriguing entryways by choosing from a wide variety of beautifully styled doorlites, sidelites and transoms for the ultimate focal point of your home. American Beauty, American Quality, & American Value. 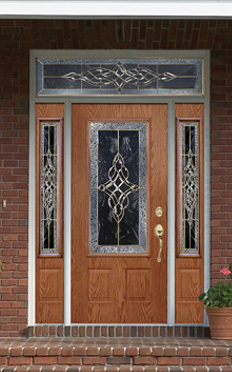 At Taylor Building Products, we design and manufacture our entry doors and glasslites with America’s homeowners in mind. We know that an entry door is more than just a door, it's the focal point of your home – an expression of your own distinctive taste and style. That’s why you’ll find beauty, quality and value in every door and glasslite we make. More Than Just A Door. 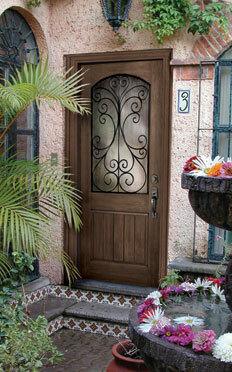 Taylor Building Product entry doors are made of top-quality materials. 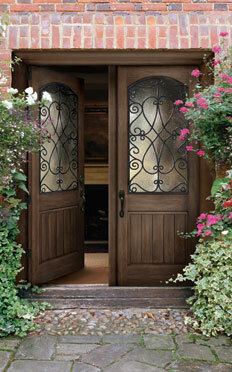 Our doors are designed and engineered to give you years of trouble-free, energy-efficient service. The solid polyurethane foam core inside your Taylor Door protects your home against heat and cold. 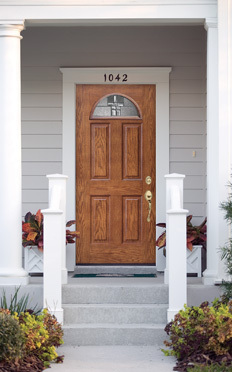 There’s no need to hide the beauty of your home's entrance behind a storm door. Taylor Building Products also offers a wide choice of optional insulating glasslites including doorlites, sidelites, and transoms to add a genuine touch of elegance without sacrificing energy efficiency. 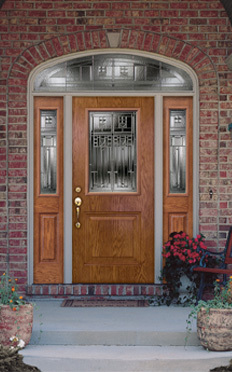 To beautify and extend the height or width of your entryway, complement your entry door with one or two sidelites from Taylor Building Product's Decorative Light Series. Decorative insulated sidelites are available in 12" and 14" widths. Transoms are also available in round-top or elliptical shapes as well as rectangles for 8' and 9' ceilings. Beauty and practicality – you get them both with Taylor Building Products insulated entry systems. So welcome to Taylor Building Product! See Dealers Wholesale the entry door professional today and find out how your home can be enhanced by a Taylor Building Product. Taylor Quality at an Economical Price. Solid 11" wood lock reinforcement with 1" diameter edge bore & available 2-1/8" diameter face bores at 2-3/4" or 2-3/8" lockset. Hinge prep available with 4" x 3/32" mortised hinge pockets as standard or no hinge prep for surface mounting or custom mortising. All Edgewood® entry doors feature the wood lock & hinge stiles as well as a solid composite bottom rail to resist rot & insects. 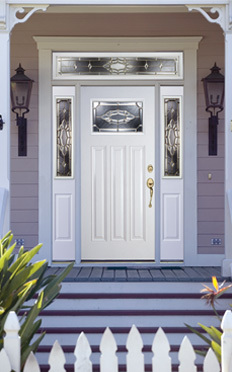 Since 1994, Plastpro Inc., headquartered in Livingston, New Jersey, has been a leading U.S. manufacturer of fiberglass entry doors, offering the best possible service and reliability. Plastpro’s customer-focused philosophy has brought a fresh, new approach to the industry and resulted in the highest-quality products on the market. Old World craftsmanship meets innovative technology to make Plastpro Doors the most advanced, high-quality fiberglass door available on the market today. Since 1954, the world-renowned Formosa Plastics Group and one of its leading companies, Nan Ya Plastics Corporation, have been dedicated to offering its customers a top quality product at the highest possible value. The Formosa Plastics family of companies is vertically inte- grated from the production of raw materials to the finished product, allowing for superior coordination of all steps in the production process. Now Plastpro continues in the tradition by being dedicated to offering the highest possible service and reliability. With our commitment and this powerhouse of materials research and technological development behind us, it's no wonder we can put forth the consistently innovative products that make us first in fiberglass. Whereas products and components of other companies may be outsourced, plastpro doors can boast total vertical integration. We manufacture every part of our doors, from the raw materials like polyurethane, polyester, and fiberglass, to the actual doors, doorlites and sidelites. This allows us complete quality control. Vertical Integration means that we can focus our efforts on perfecting the quality of each individual door component. This further allows our internal Research and Development department the freedom and flexibility to create innovative products that serve both market need and demand. Our products have achieved world class recognition through ISO 9001 designation for strict adherence to leading international quality standards. As a part of our ongoing commitment to responsible environmental practices, we are proud to be partners in the United States Government's Energy Star program. As an Energy Star Partner, our products have been shown to meet the government's regional standards for energy efficiency and conservation. The energy star label makes it easy to make a difference for the environment while saving money. By maintaining control over raw materials like polyurethane, polyester, and fiberglass, as well as manufacturing every part of its Distinction Doors, Plastpro is able to lead the industry through product innovation. Over the past 10 years, the company has introduced a number of breakthrough product enhancements including full- length all-composite door stiles to keep insulation dry, high-strength composite top and bottom rails, BTHPTM Snap-On doorlite frames to eliminate unsightly plugs and screws, a full-length steel brace for strength, and a versatile, extended-size lockblock to ensure the doors fit with any door lock. Plastpro also brings the latest technology advancements to the industry to meet customer concerns. Hydroshield Technology® protects against water infiltration on all sides of the door, eliminating warp, corrosion, rot, delaminating, mold and mildew. Plastpro’s commitment, depth of materials research and technological development, enable it to consistently produce the products that make it first in fiberglass.